The top U.S. military officer on Monday arrived in Iraqi capital of Baghdad amid the country’s biggest offensive against the Islamic State (IS) militant group, an army official said. Gen. Martin Dempsey, chairman of the U.S. Joint Chiefs of Staff, is due to hold talks with Iraqi Prime Minister Haider al-Abadi and other Iraqi officials about military cooperation and development of fighting against IS militants in Iraq’s northern central province of Salahudin, the official told Xinhua on condition of anonymity. Iraqi security forces began their biggest offensive last week via five paths in an attempt to free the provincial capital city of Tikrit and other towns and villages across the province from IS militants. Iraq is facing an insurgency by the extremist IS group, which has forced thousands of people, mainly from minority communities, to flee their homes. 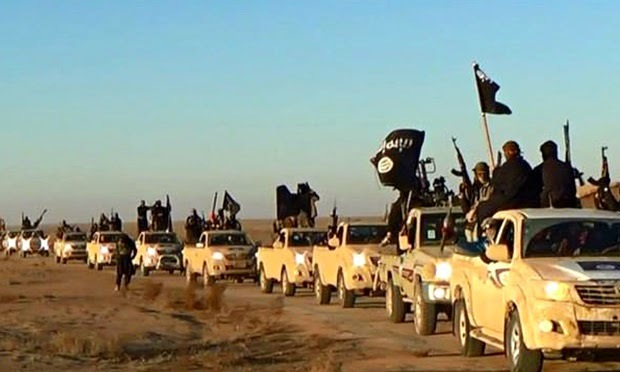 The group has seized vast swaths of territory in northern Iraq since June 2014 and announced the establishment of a caliphate in areas under its control in Syria and Iraq. The United States built an international coalition, including countries in and outside the Middle East, to push back IS expansion, carrying out airstrikes against the armed Islamist group in both Iraq and Syria. A Kurdish military delegation is in the Iraqi capital Baghdad, asking the federal government to deliver weapons to Peshmerga forces. On Sunday, a Kurdistan government military affairs delegation arrived in Baghdad and met with Iraqi military officials regarding Erbil – Baghdad coordination against Islamic State (IS) militants and the need for more military assistance from Baghdad. The meeting took place in the presence of United States officials. BasNews has learned that operations in Mosul and Tikrit were discussed, with Baghdad raising the possibility of Peshmerga involvement in both cities. The Kurdish delegation insisted Baghdad deliver weapons based on previous agreements and the Iraqi constitution. 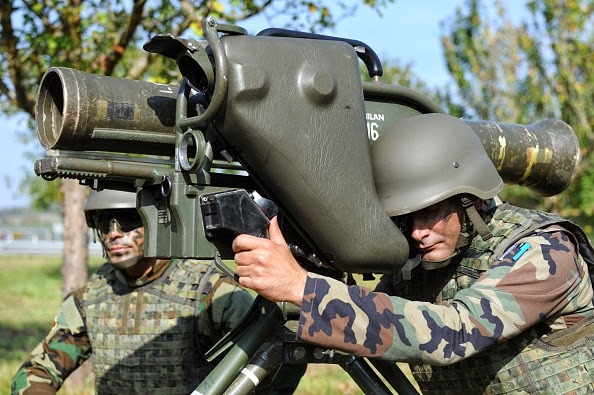 The need for heavy weapons is especially urgent. Sources close to the meeting claim that the US officials supported the Kurdish request, but on the condition that Peshmerga forces participate in any future Mosul operation. Since Islamic State militants first launched attacks against the Kurdistan Region, Kurdish leaders have called on the Iraqi government to send weapons. 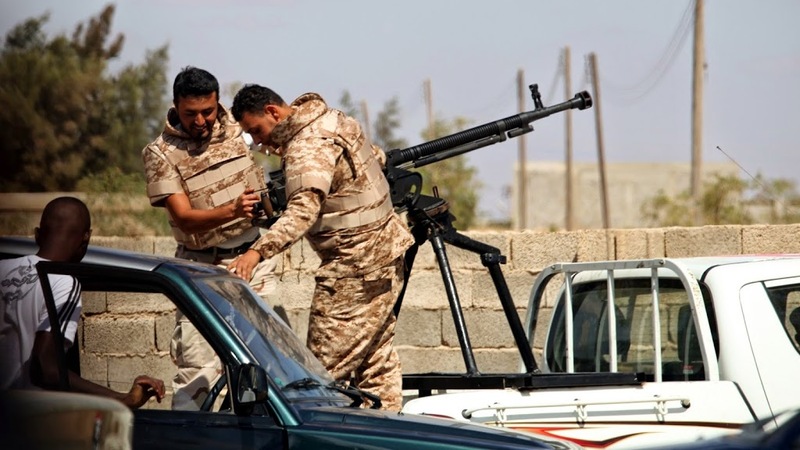 The southern town of Brak Ashatti was the scene of fighting between Libya Dawn forces and the Libyan National Army (LNA). 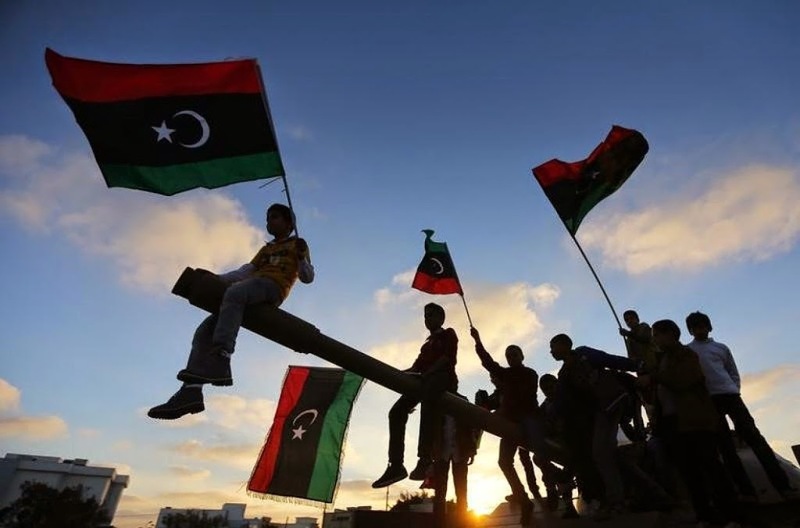 Reporting of the details of the clashes by local sources and Libyan media has been slanted according to the sympathies of the various media outlets. Some have said that the local people, fighting alongside the LNA were able to force the withdrawal of Libya Dawn forces. These same sources reported that Libya Dawn initiated the attack, carrying out indiscriminate bombing in a residential area. Other sources, sympathetic to Libya Dawn, have reported that the LNA attacked in an attempt to take over the Brak Ashatti airbase. The fighting has resulted in the closure of a major road linking Sebha, Jufra and Brak Ashatti. Islamabad is yet to accept Riyadh’s request for support to prevent military invasions into Saudi Arabia by the Islamic State (IS), the ultra-extremist group that has made significant gains in Iraq and Syria. The issue was a key item on the agenda during Prime Minister Nawaz Sharif’s visit to Saudia Arabia earlier this month. Nawaz visited the oil-rich kingdom last week on the special invitation of the Saudi monarch. The two leaders shared similar views on all important issues, including the need to combat terrorism, according to a statement issued by Pakistan’s Foreign Office. A senior official believed that Riyadh wants Islamabad to send troops to help it in the fight against IS, in a bid to ward off the IS threat at the Saudi border. In return, the new Saudi monarch has offered Islamabad an economic package: a vast supply of oil on deferred payment. Foreign Secretary Aizaz Ahmad Chaudhry recently informed the Senate panel on foreign affairs that Pakistan would not become part of any international coalition against IS. Prime Minister Nawaz has not given Saudi Arabia any firm assurance over the request. Iraqi Kurdish peshmerga troops launched a wide-scale offensive against Daesh, in the northern city of Kirkuk’s south, an Iraqi commander said Monday. Daesh is the Arabic acronym for the Islamic State of Iraq and the Levant, which is also known as ISIL. Wasta Rasul, the peshmerga commander, said Iraqi Kurdish troops, backed by the U.S.-led international coalition, began the operation at 04.00 a.m. local time (0700GMT). 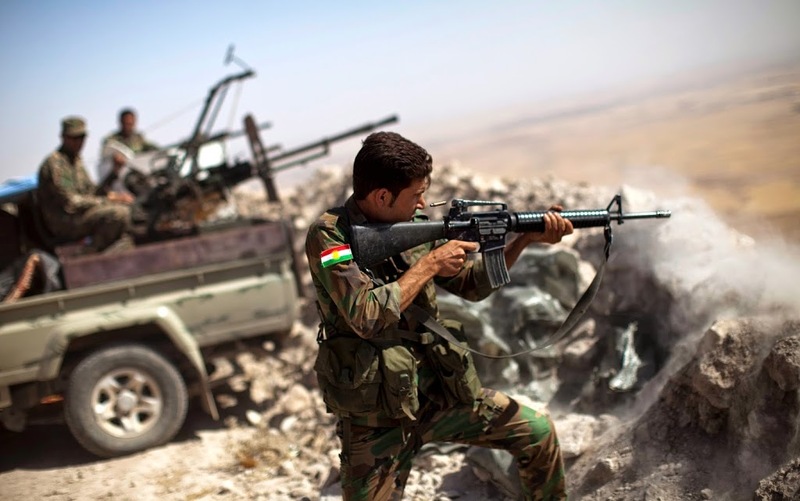 Rasul said the peshmerga, the armed forces of Kurdish regional government, attacked the militant group’s positions in Maktab Khaled, Dakuk and Harabarut. 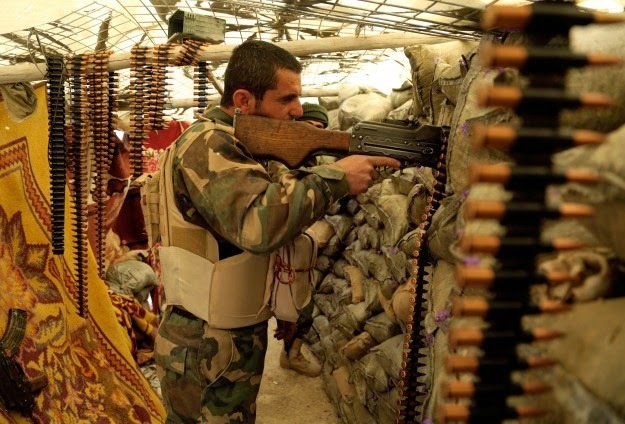 “The operation is ongoing and the peshmerga regained Sultan Mari village in the south,” said the peshmerga commander, adding that coalition airstrikes killed at least 40 militants during the operation. Hiwa Abdullah, the peshmerga commander in the Kirkuk region, said the operation to push back Daesh militants from Nahrawan village in Kirkuk was ongoing and the militants fled their positions. Peshmerga forces have been making preparations for days to repel Daesh, which posed a threat to Kirkuk. Many troops and military vehicles have been dispatched to the region. Minister for Maghreb and African Affairs Abdelkader Messahel announced Sunday in Cairo, that Algiers and Cairo agree on the need to ensure Libya’s stability and its territorial unity through a political settlement of the crisis in this country. “Algeria and Egypt share the same views on the resolution of the Libyan crisis. We are for a political settlement of the crisis and support the fight against terrorism and the efforts undertaken by the United Nations and the neighboring countries,” Messahel said in a statement after his meeting with Egyptian Foreign Minister Sameh Shokri. Messahel further indicated that the two neighboring countries of Libya coordinate closely; highlighting the danger of terrorism in this country and the threats it poses to the countries of the region. “There is a perfect coordination with the Egyptian side about the situation in Libya, but also with the neighboring countries, the UN or any other party concerned about the stability, sovereignty, unity and territorial integrity of Libya,” the minister said. In this regard, he announced a coordination meeting to bring together soon the neighboring countries of Libya in Chad. “By using their weight in the region, Algeria and Egypt can contribute to the preservation of security in the Arab countries and strengthening stability in the region,” said Chokri, greeting the complementarity and perfect coordination between the two countries. The Egyptian minister, also highlighted the convergence of views between the two countries on issues related to the preservation of Libya’s stability and territorial integrity, stressing the importance of joint action on countering terrorism. Shiite rebels battled an al-Qaida affiliate in central Yemen on Sunday and two tribes clashed east of the capital in violence that claimed a total of 17 lives, security and local officials said. The officials, speaking on condition of anonymity because they were not authorized to speak to reporters, said the clashes in the central Bayda province broke out after al-Qaida militants attacked three positions manned by Houthi rebels, who swept down from the north and captured the capital Sanaa last year. Twelve people were killed in the fighting. Yemen’s al-Qaida branch, which Washington views as the terror network’s most dangerous offshoot, has stepped up attacks against the Houthis. Last week, a suicide bomber targeted the gate of a rebel compound in Bayda, killing eight rebels, and clashes in three separate locations killed at least 25 rebels and seven militants. 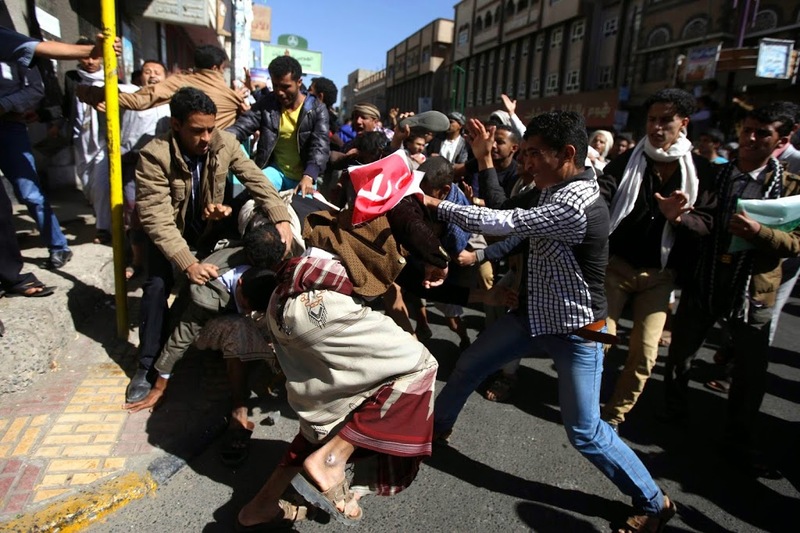 Also on Sunday, five people were killed in clashes between two tribes, one pro-Houthi and the other opposed to the rebels, in Marib province east of Sanaa. In January the Houthis disbanded parliament and declared their Revolutionary Committee the country’s highest political body, but their authority does not extend to Yemen’s once-independent south or to the vast and lawless east, where the Sunni extremists of al-Qaida have long maintained a presence despite U.S. drone strikes and Yemeni military operations. Embattled President Abed Rabbo Mansour Hadi fled to the southern city of Aden last month, and says he is still the country’s legitimate leader. 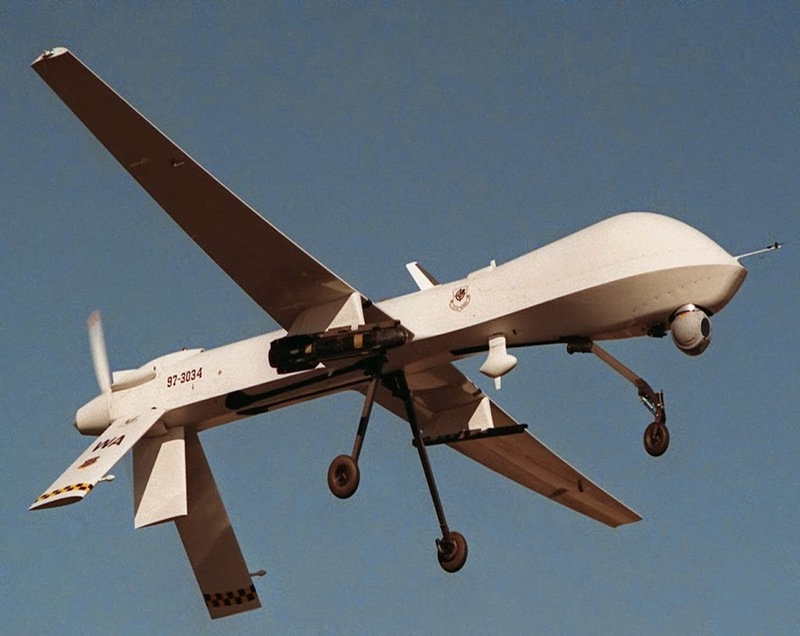 The Somali government says it plans to use drones to fight the al-Qaida-linked group al-Shabab, targeting the militants’ bases and rural areas they still control. 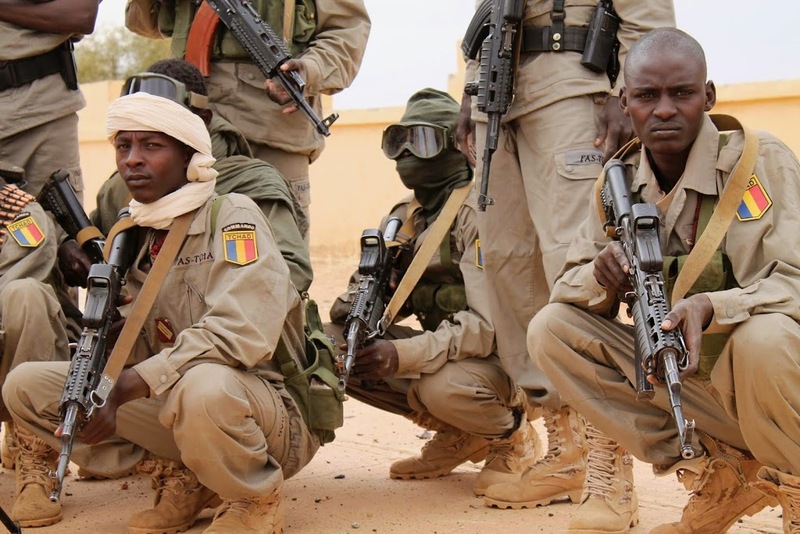 Chad and Niger have launched a joint military operation against Boko Haram in Nigeria. The Sunni militant group has expanded cross border raids, spurring Nigeria’s neighbours to retaliate. The new military campaign comes after suspected Boko Haram insurgents killed at least 50 people in bomb attacks in Maiduguri – the city it wants as the capital of an Islamist state. Almost six years into its insurgency in Nigeria, the militant group is now attacking villages in the countries bordering Lake Chad – Chad, Niger and Cameroon. Local officials say the motive is greed, not a drive to establish an Islamic caliphate. In Chad, Boko Haram is said to be behind destruction in the village of N’gouboua – its first attack inside the country. Militants apparently opened fire on residents and burned their homes. Boko Haram has pledged allegiance to ISIL, which rules a self declared caliphate in parts of Iraq and Syria. Nigeria is now pleading for more international help to battle the militancy.